View of the forecourt of the Step Pyramid of Djoser at Saqqara, with a section of the Uraeus-topped perimeter wall at left. 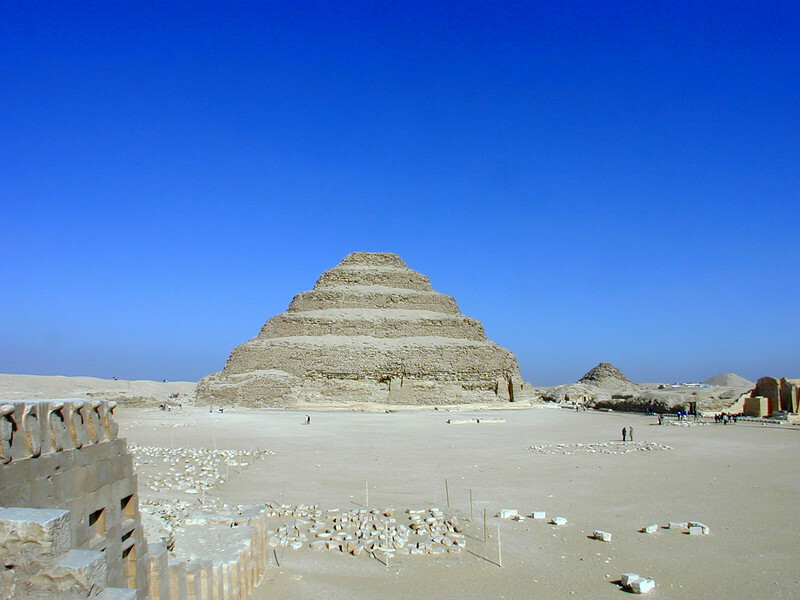 The rubble mound immediately to the right of the Step Pyramid is the Pyramid of Userkaf. The third mound, at the right of the picture is the Pyramid of Teti.